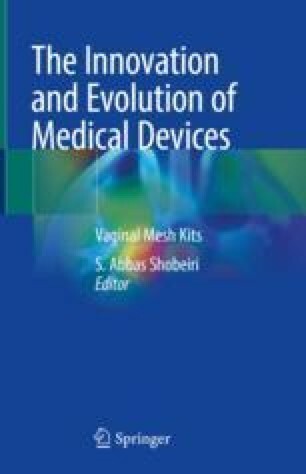 The use of vaginal mesh kits in urogynecologic and urologic practice increased rapidly in the past two decades, followed by a high rate of previously unencountered complications for most practicing urologists and urogynecologists. Defining the problem in such instances is crucial for formulating a treatment plan. Ultrasound was becoming slowly popular with urogynecologists for diagnosis of vaginal birth-related pelvic floor trauma at the time vaginal mesh kits were introduced to the market. Because MRI and CT scans were unable to see the mesh, ultrasound filled this niche as the only modality that could see the mesh clearly. Further innovations in ultrasound technology such as the introduction of 3D endovaginal probes revolutionized the imaging and management of vaginal mesh kit complications. This chapter will introduce the reader to the history of various vaginal meshes, with a brief overview of ultrasound methodology, and a rich collection of ultrasound images illustrating how ultrasound can augment regular physical examination to provide an accurate diagnoses and better therapeutic management of mesh complications. Javadian P, Shobeiri SA. The disability impact and associated cost per disability in women who underwent surgical revision of transvaginal mesh kits for prolapse repair. Female Pelvic Med Reconstr Surg. 2017 Sept 13; https://doi.org/10.1097/SPV.0000000000000489. [Epub ahead of print], 1.